Photo: Melinda Sue Gordon/2017 WARNER BROS. ENTERTAINMENT INC. Sometimes you have to wonder how much fiction can be left to take place in World War II just because there have been so many books, films and TV series over the years set during the war. Just this year, we’ve already had The Zookeeper’s Wife, Their Finest and now Dunkirk. But with the latter, American audiences are at least getting a historical event that isn’t discussed as much over here: the surrounding of Belgian, English and French soldiers on France’s Dunkirk beach from May 26 to June 4, 1940. Blockbuster filmmaker Christopher Nolan tackles his first film in a decade without his brother Jonathan co-writing the script. In Dunkirk, we follow three different plotlines. A shopkeeper (Mark Rylance), his son (Tom Glynn-Carney) and a teenager (Barry Keoghan) sail on a private boat to aid prisoners. 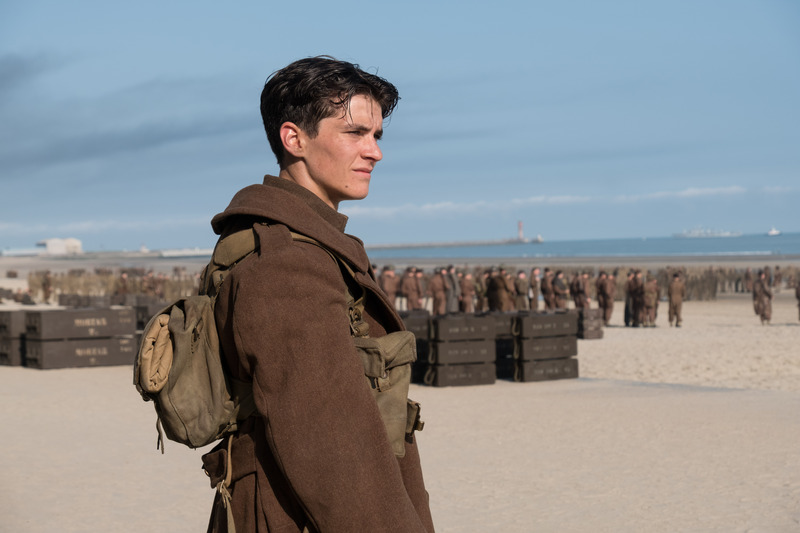 A group of young soldiers hides in various locations near the beach, led by Fionn Whitehead and Harry Styles. And two Royal Air Force pilots, played by Tom Hardy and Jack Lowden, battle the enemy in the sky. Kenneth Branagh and Cillian Murphy also make appearances as military servicemen. On a technical level, everything in Nolan’s Dunkirk is practically flawless, from the cinematography of Hoyte van Hoytema to the music score by Hans Zimmer. Styles is a surprisingly decent actor and one of the better performances in the feature. The biggest relief is that the dialogue is not nearly as clunky as Nolan’s previous two films, The Dark Knight Rises (2012) and Interstellar (2014). For a big-budget history lesson, Dunkirk does just fine.